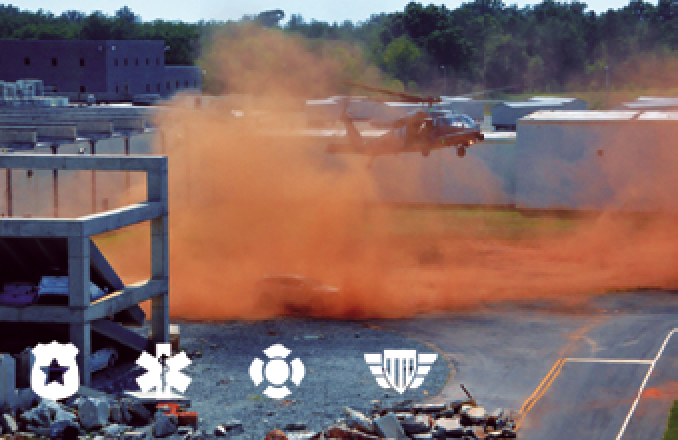 Mobile connectivity is critical for first responders, and addressing this issue is an event dedicated to that issue, Operation Convergent Response (#OCR2018), November 5 - 8, 2018, at the Guardian Centers in Perry, Georgia. This second annual event is hosted by Verizon and Nokia in collaboration with the Guardian Centers and Aegex Technologies, which attracts those companies that offer solutions for ensuring that satellite communications run smoothly despite the situation. VT iDirect, Inc. (iDirect) and Kymeta will demonstrate their latest technology that can assist emergency first responders during this event that will bring together dozens of innovative companies to showcase their technologies that can enhance emergency response operations. Satellite communications is critical in enabling first responders to immediately communicate, coordinate and react to any situation. Whether in a densely populated urban area with damaged infrastructure, or a remote location where no infrastructure exists, satellite-enabled mobile command vehicles provide a lifeline during emergency response operations by coordinating essential services, helping restore communities and allowing residents to connect with loved ones. Kymeta KyWay™ Terminal integrates ground breaking mTenna™ flat-panel antenna technology and the industry’s leading iDirect X7 modem, to serve a broad range of mobility applications. With the Kymeta™ KyWay™ terminal, first responders can take real-time communications with them to the frontlines. VT iDirect and Kymeta have teamed up to create a reliable, always-on communications hub for first responders by outfitting an All-Terrain Vehicle (ATV) with a KyWay terminal. The terminal’s flat panel antenna with an integrated iDirect satellite modem is small enough to fit on a variety of emergency vehicles, such as patrol cars, ambulances, fire trucks and SWAT vehicles. This allows first responders to communicate through their existing tools such as radios, smart phones or laptops, providing updated information on the situation they are entering to the command center. Upon arrival on scene, the mobile communications solution becomes a mobile hotspot, allowing first responders to send crucial data such as readings from radiation sensors or live camera feeds, enabling accurate and detailed emergency response coordination. Darren Ludington, Regional Vice President of Sales Americas, VT iDirect, said that quick response time makes a difference between life and death in many emergency situations. 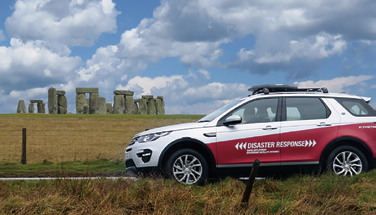 Their collaboration with Kymeta enables first response teams to be supported by seamless communications and real-time information, helping them to make more informed decisions as they enter disaster situations to save lives. Elma Electronic Inc. now offers the ComSys-5301, a highly rugged embedded computing system designed for SWaP-constrained, harsh environments. Based on the industry standard COM Express and mini PCIe form factors, the modular computer is easily configured and upgraded with application-targeted I/O, CPU and storage. Designed using Elma’s extensive packaging expertise, the new ComSys-5301 endures tough environmental conditions to provide highly reliable, long-term performance. With special attention paid to SWaP optimization, the system is lightweight and energy-efficient, while still offering high performance processing. The integration of advanced computing technology with a rugged, compact design makes the ComSys-5301 perfect for use in ground vehicles, unmanned systems and vehicles, drilling and mining operations, command centers and other mission critical applications. The fanless ComSys-5301 uses passive conduction cooling and features a fourth Generation Intel Celeron CPU, solid state storage, dual Gigabit Ethernet ports and flexible I/O configurations. Robust MIL-38999 connectors ensure that the I/O interfaces can withstand severe environmental conditions, such as intense shock, vibration and humidity, typically found in rugged, mobile applications. Approximate weight is just 6 lbs. and the system can be wall or table mounted, per VITA 75. Naval Air Systems (NAVAIR) will provide SATCOM systems integration for the U.S. Coast Guard. A U.S. Coast Guard C-27J surveillance aircraft. Under the agreement, Hughes, supporting through its partner, ADS, Inc., will integrate communications systems in support of the Coast Guard’s Intelligence, Surveillance and Reconnaissance (ISR), humanitarian aid and disaster relief (HADR) missions requiring airborne Communications-on-the-Move (COTM). Hughes will provide SATCOM integration for the missionized C-27J aircraft which will connect mobile units across a wide geographic area including over the United States, Canada, Mexico, and the Pacific Ocean. The broad operational regions require proven Beyond-Line-of-Sight (BLoS) system integration expertise to coordinate hardware functions on the C-27J aircraft including antennae, modem, engineering services and technical training. For this contract, Hughes will deliver cost-effective mobility solutions that will provide multi-mission support including drug interdictions, border control enforcement and search and rescue efforts (SAR) for the agency. Rick Lober, VP and GM of Defense and Intelligence Systems Division at Hughes said that the company was well-positioned for this requirement to provide comprehensive engineering expertise for integrating a satellite technology and service solution that will enhance the Coast Guard’s diverse operational capabilities. The Coast Guard often operates in extremely challenging environments which require robust communications solutions. Hughes values being a trusted partner for their global missions. Kratos Defense & Security Solutions, Inc. (Nasdaq: KTOS) has successfully completed the third phase of a pathfinder study for migrating the Command and Control System – Consolidated (CCS-C) ground system to the Enterprise Ground Services (EGS) architecture — CCS-C currently operates a fleet of over 20 Military Satellite Communications (MILSATCOM) satellites in four different constellations. 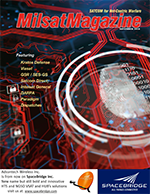 In phase 3, Kratos demonstrated the automated deployment of the MILSATCOM EGS (MEGS), using virtualized applications on the Space and Missile Systems Center (SMC)-provided Cooperative Research and Development Agreement (CRADA) Supply Chain Risk Management (SCRM) infrastructure hosted at the Space Management Battle Lab (SMBL). After successful deployment, the team demonstrated Kratos’ web-based user interface and automation capabilities. Traditionally, ground system capabilities take months or even years to deploy and test, however, with automated software deployment and dynamic allocation of resources employed by the Kratos team based on the EGS principles of deploying in a modern IT environment, the demonstration took less than 10 minutes. This dynamic allocation of ground resources demonstrates the portability, resiliency and elasticity of the MEGS. EGS is a critical technology for the Air Force’s Space Enterprise Vision (SEV) focused on a sustainable, resilient space architecture that can respond to emerging threats and protect space-based assets. When implemented, EGS will result in a best of breed, service-based ground architecture for all Air Force spacecraft that will enable Air Force Space Command (AFSPC) to fight and win a war that extends into space. AFSPC is implementing EGS with prototyping activities to mature the concepts, technologies, EGS standards, and transition paths for legacy and future ground systems. The Kratos study for MILSATCOM is a 27 month effort that consists of four phases and is an essential step in the evolution of CCS-C to exploit the benefits of EGS. Phase 3 concluded on 12 July with a successful demonstration. Phase 4 will be completed in December of 2018. Kymeta and Paradigm have partnered to create an enhanced portable terminal solution for military and emergency responder customers called the MANTA. The MANTA, which integrates the Kymeta™ KyWay™ terminal together with Paradigm’s Interface Module (PIM®) controller, offers increased capabilities to users needing reliable communications on-the-move. Military and first responder users who need connectivity for remote incident response, in urban environments where existing infrastructure is compromised, or elsewhere in the world where operations demand reliable communications now have a rugged, easily transportable, and mobile connectivity solution. The MANTA is a one case, all-inclusive solution and needs just one cable (to connect power). 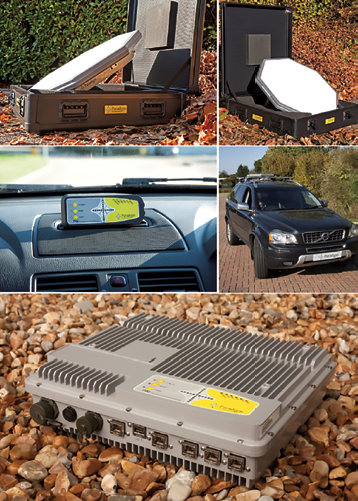 The system can operate out of the case or be put onto a vehicle roof in a matter of minutes and eliminates the need for complicated wiring and rack-mounting components. The MANTA is now shipping with an iDirect X7 modem and can support modems from various suppliers. Kymeta K LO™ network connectivity services can also be bundled with the solution for complete global coverage. 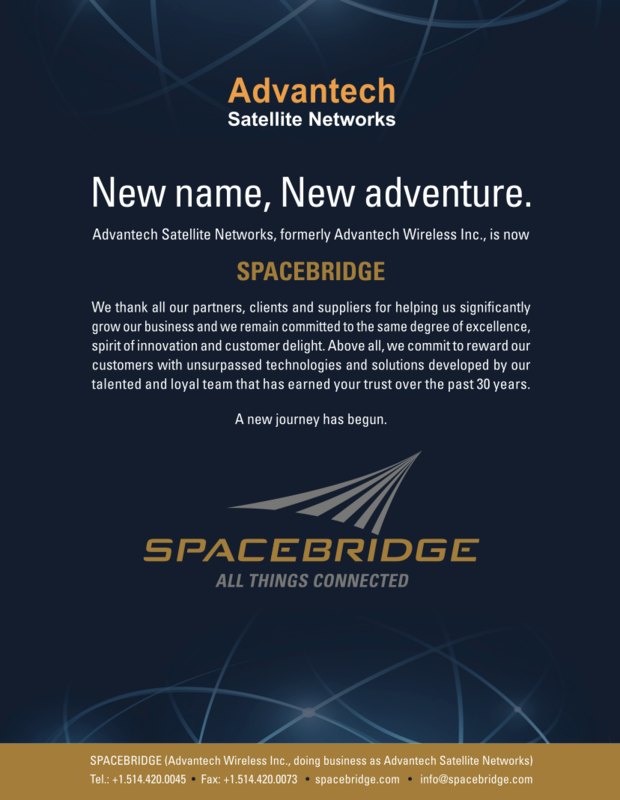 The partnership marks a strong collaboration between two of the most innovative players in the mobile satellite communications market. The KyWay terminal is an industry-first solution and the world’s only commercially-available, flat-panel, electronically-steered satellite terminal. The PIM® terminal controller has a proven track record from its existing integration into a range of satellite terminals. Ulf Sandberg, Managing Director, Paradigm, said that with Paradigm PIM-enabling the Kymeta antenna, the company will create superior solutions and the firm is looking forward to working with Kymeta and revolutionizing SATCOM-on-the-Move (SOTM). David Harrower, SVP of Global Sales, adds that the new KyWay terminal and PIM technology solution is ideally suited to the mobile military, government, and emergency responder sectors — Kymeta is excited about the advances and flexibility that the new MANTA terminal solution will bring to the market.